The simply cut CH36 Chair from Carl Hansen was designed by the Dane Hans J. Wegner in 1962 and clearly reflects his passion for traditional craftsmanship. The solid wood frame is characterised by straight lines that provide an elegant touch. Slightly tapered legs and rounded edges relax the overall appearance of the chair while still preserving its Nordic charm. The wooden frame is complemented by a seat made from hand-woven paper cord that not only rounds off the natural look, but also offers great comfort. Together with the ergonomically curved backrest, the chair becomes the perfect seat on which to spend hours at the dining room table or at the desk. Thanks to its unobtrusive design, the chair fits seamlessly into both private as well as public interiors. 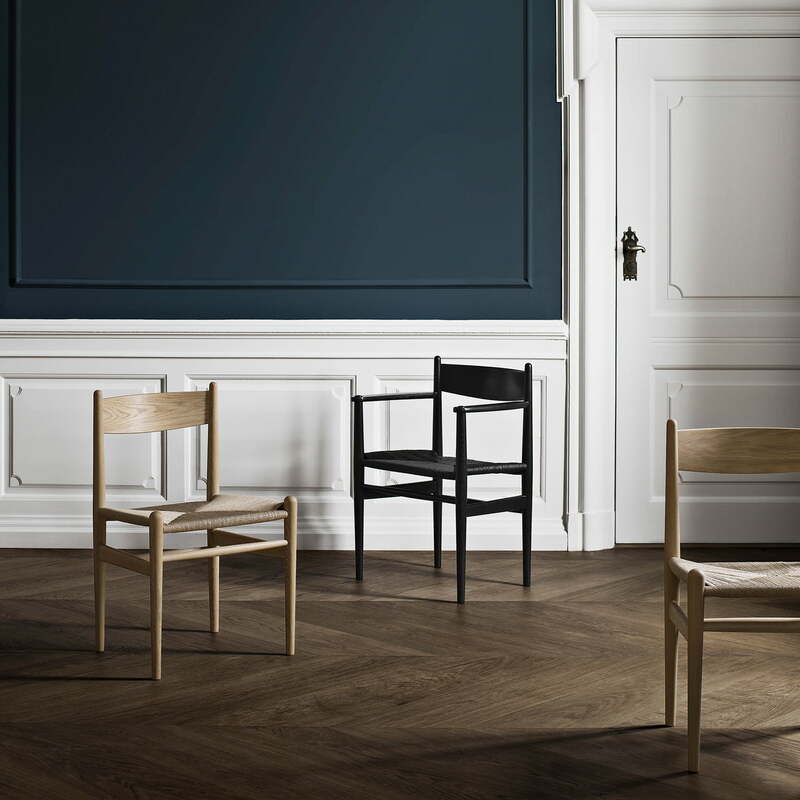 On demand, the CH36 chair is also available made of beech wood and with black paper cord. 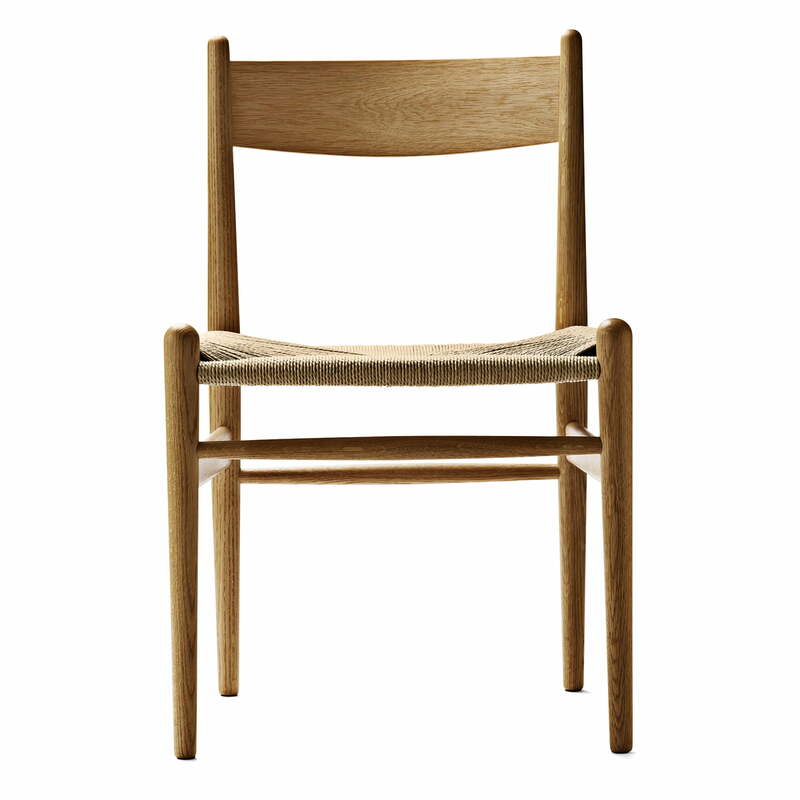 Isolated prodcut image of the Carl Hansen - CH36 Chair, oiled oak / natural woven paper cord. 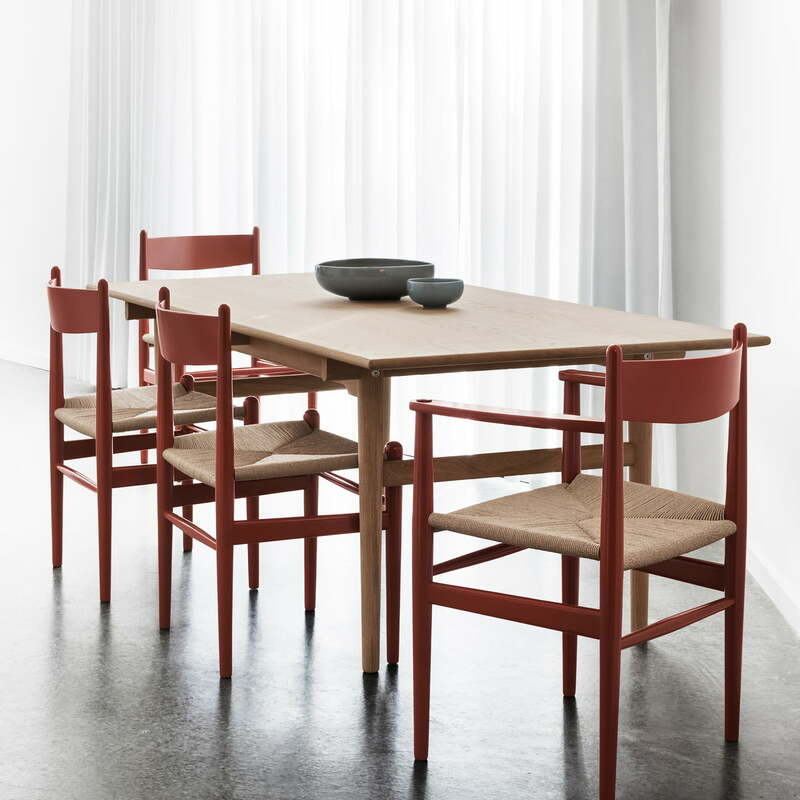 The simply cut CH36 Chair from Carl Hansen was designed by the Danish designer Hans J. Wegner in 1962 and is characterised by a combination of solid wood and hand-woven paper cord. 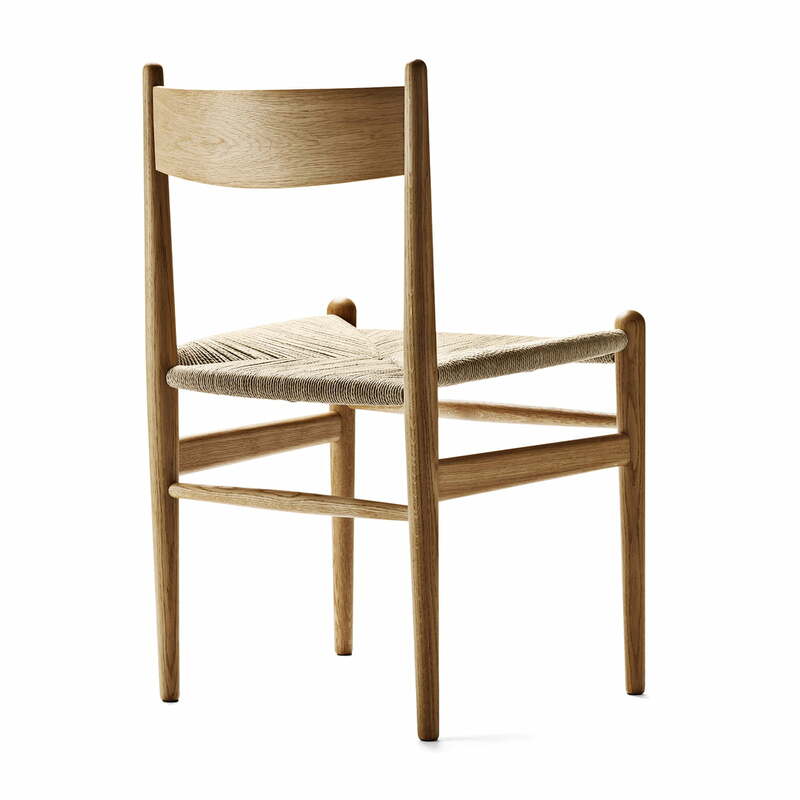 Isolated prodcut image of the Carl Hansen - CH36 Chair, oiled oak / natural woven paper cord. The solid wood frame is characterised by straight lines that provide an elegant touch. Side product image of the Carl Hansen - CH36 Chair. 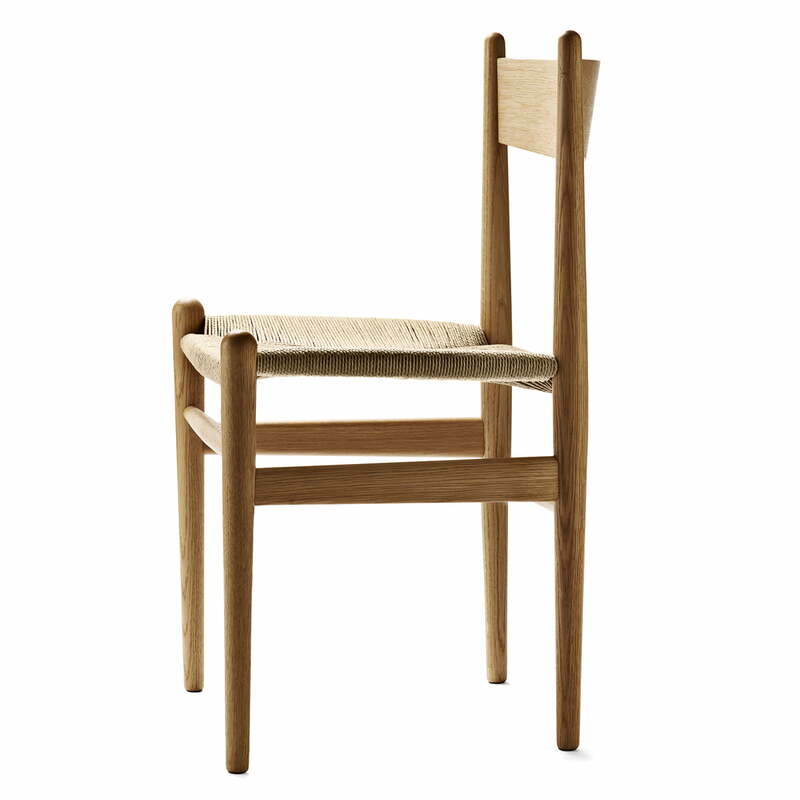 The plain-looking CH36 chair is characterised by the use of natural materials and traditional craftsmanship. Back product image of the Carl Hansen - CH36 Chair. Slightly tapered legs and rounded edges relax the overall appearance of the chair while still preserving its Nordic charm. Lifestyle product image of the Carl Hansen - CH36 chairs. The traditionally-made chairs available in different versions fit particularly well in modernly furnished apartments. Lifestyle product image of the Carl Hansen - CH36 Chair. 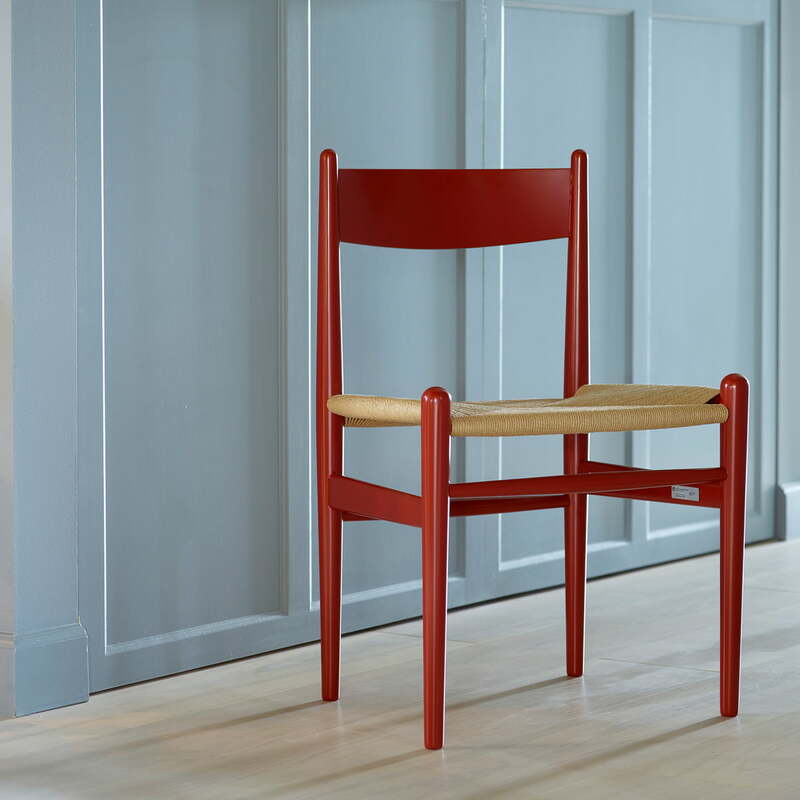 The CH36 chair by Carl Hansen is the perfect way to introduce a colourful focal point to any room. Lifestyle product image of the CH36 chair with CH327 dining table. 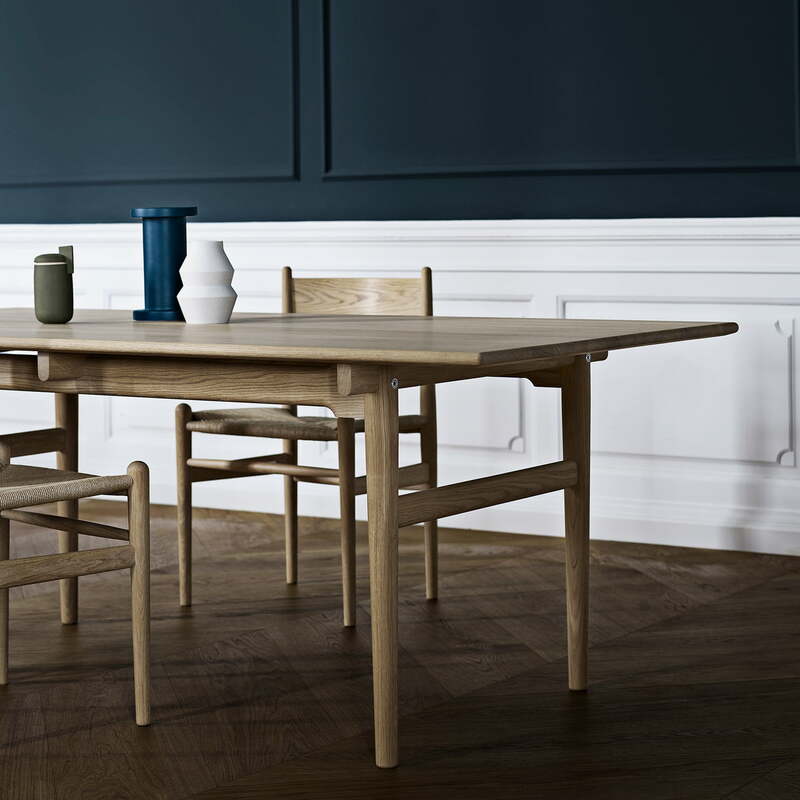 The chairs and the table made from oak can be wonderfully combined and form a stylish dining area.